A recent fraud alert has shed light on a trending identity theft scam that has caused countless U.S. citizens to lose money and incur late fees – among other issues. The lessons learned by victims of the scam offer insight to avoid being the next casualty of the fraud. Early this year, the Federal Reserve experienced a number of unauthorized transactions where consumers tried to use the federal bank’s routing number to access federal funds to pay their utility bills. When the bank denied those transactions, consumers found that their accounts had defaulted. Many victims of the scam were also convinced to pay penalties and late fees in addition to the amount they already owed. The scam uses an increasingly popular tactic to gain consumer interaction and extract data: an “official” notice from an “official” agency. In this case, the agency is the Federal Reserve Bank, which manages the nation’s financial reserves. Utility customers in both Georgia and Missouri received a “notice” from “the Fed,” as some call it, that they were recipients of a grant that would pay an entire month’s worth of their utility bills. To claim the gift, consumers just had to call a number and share their private financial data (social security number, bank information, etc.) to receive the routing number for the federal financial institution. Calling the “Fed’s number” would feed their data into the Reserve’s databanks, and the bank would then make the appropriate payment. In the end – not only was the utility customer’s bill not paid, but some were forced to pay late fees and penalties for the delays caused by the scam. 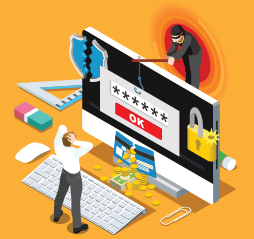 The biggest loss, however, was that victims of the scam had released their personal financial data to hackers who can now use it to steal their identity, use their funds, or worse. The Federal Reserve doesn’t do business consumers directly. Instead, they work only with registered financial institutions. Consequently, when transactions involving individuals began flowing into the bank’s databases, they were flagged and denied before they could be completed. Often, the length of the delay from initiation to denial meant that the customers didn’t receive notice of the denial until after their “payment” had defaulted at their utility company. The scammers exploited consumers who would benefit from relief from their bills by tricking them with an official-looking or -sounding “invitation,” presumably issued by a reputable federal agency. Official government sites will never request consumers to contact them through a link contained in an email, text or letter. Instead, government services that seek consumer inputs place those contacts on their websites where they are easily found. Consumers who have questions about suspicious-looking “invitations” or “threats” should go directly to the official website of that agency to get more details. Official agencies also never leave voice messages, emails or texts declaring that consumers are “in default” or “facing foreclosure” or another severe penalty. These scammers are trying to scare citizens to hand over their information as quickly as possible. Lyons Commercial Data offers quality data services designed to provide cost-effective and reliable compliance support for ACH and check routing verification, bank account verification, OFAC, Anti-Money Laundering, and Know Your Customer efforts. Contact us today to find out more!